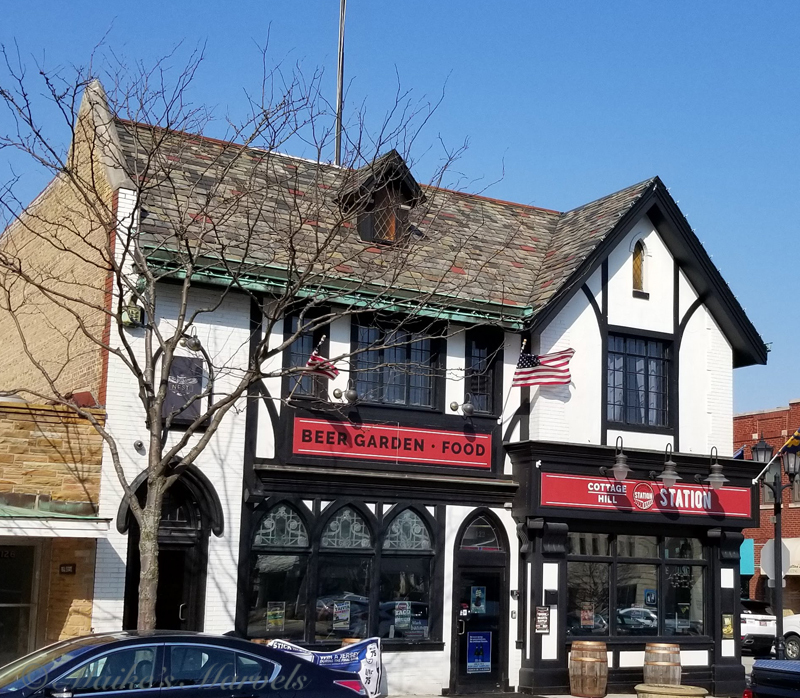 I spent a week in Elmhurst recently, and had a great time exploring the town. 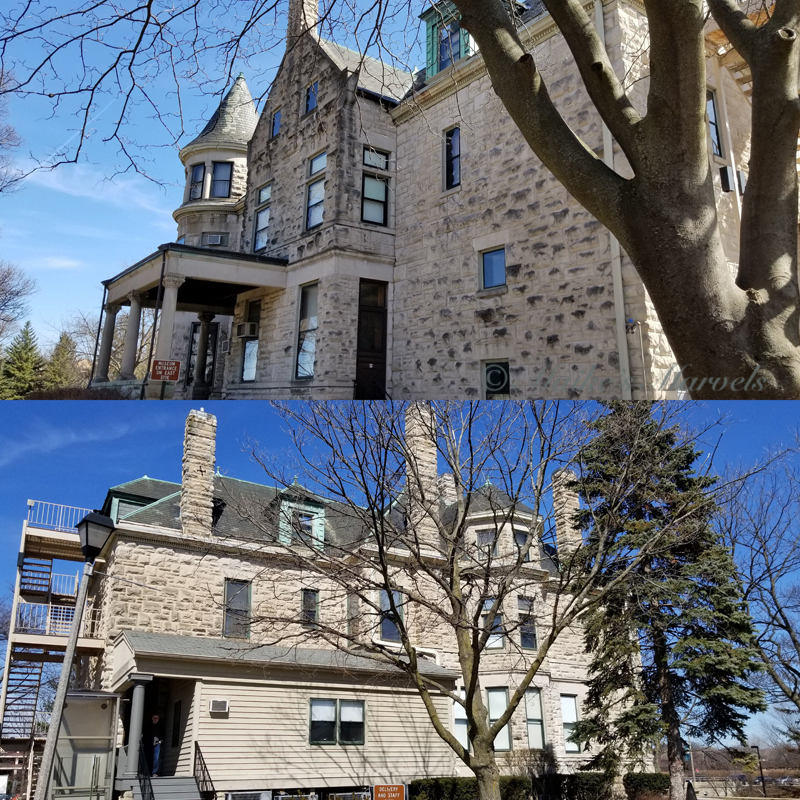 I have driven to and from Elmhurst for the various Wilder Mansion events, and while I knew their downtown is charming, I never had a chance to just stroll and explore. So on a warm and sunny day I walked over to the town center and had a lovely time looking at all the old and new buildings. 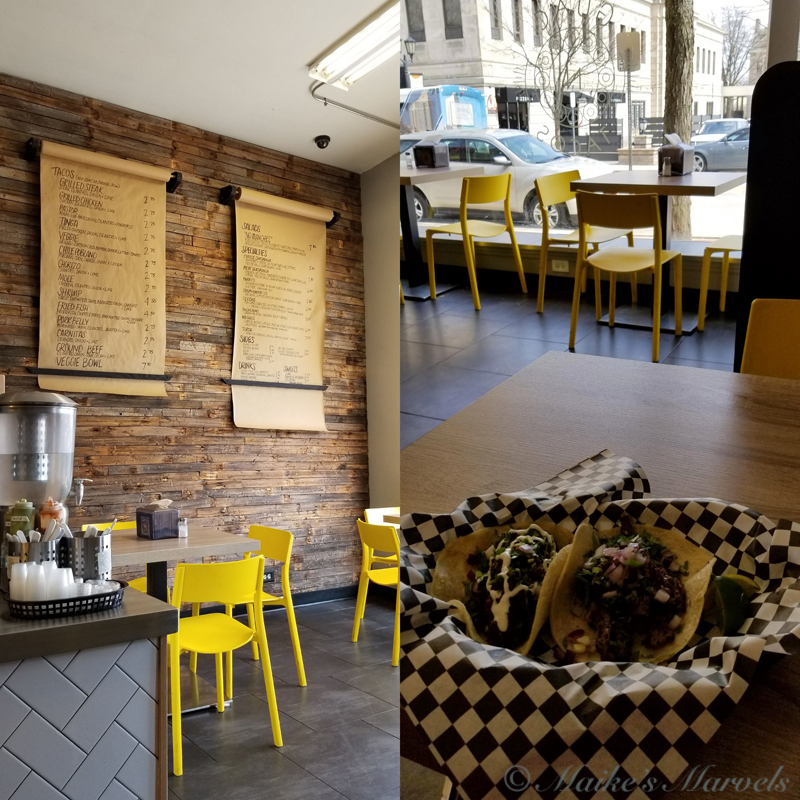 I had lunch at Guac N Tacos, where the food was delicious. Then I walked around the few blocks of downtown. 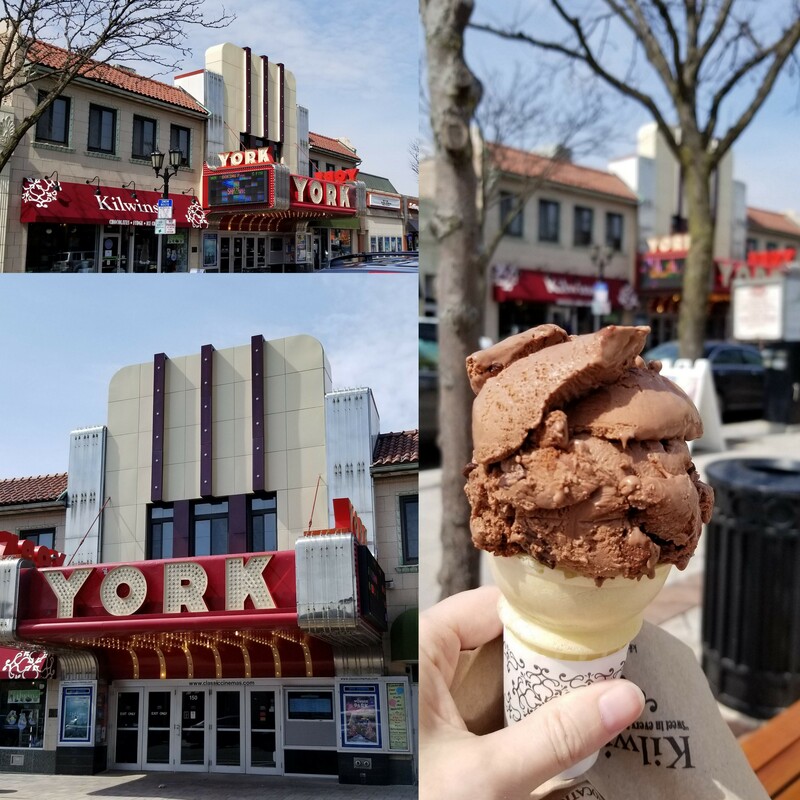 Next to the York Theatre was Kilwin’s, which lured me in for an ice cream. After consuming that in the ‘town square’ I strolled back through a lovely neighborhood with mostly ranch style homes, but some larger homes built in. Near East End Park was a subdivision of McMansions. Another day I visited the Elmhurst History Museum. Unfortunately the special exhibits were in transition, but the Story of Elmhurst, settled in the 1830s, was charming with fun artifacts giving me more background about the town. The History Museum is housed in one of the first mansions of Elmhurst. The Glos Mansion, the former home of Elmhurst’s first village president, Henry Glos, and his wife, Lucy was built around 1892 and is now a landmark. 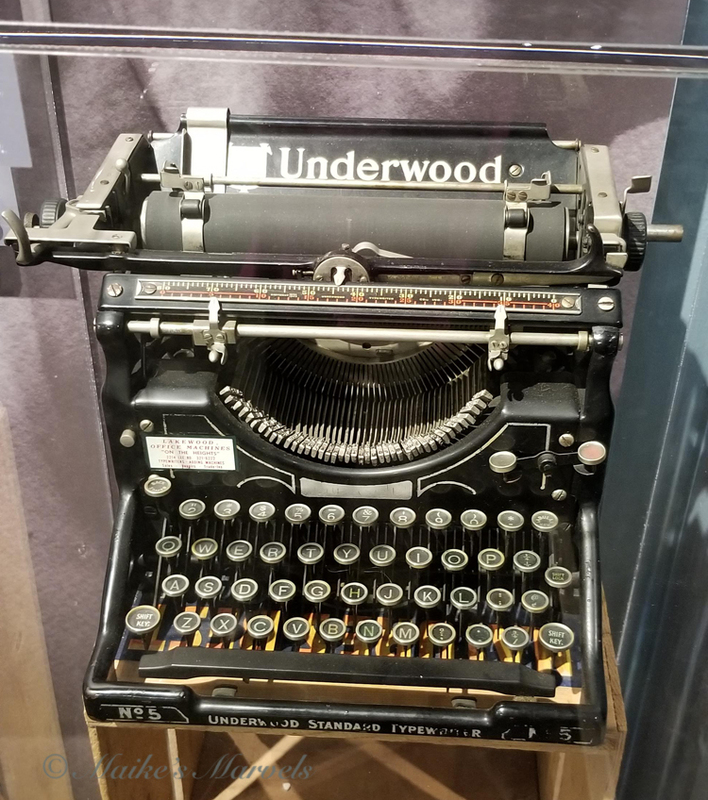 Local Author Carl Sandburg’s typewriter encouraged my writerly aspirations. 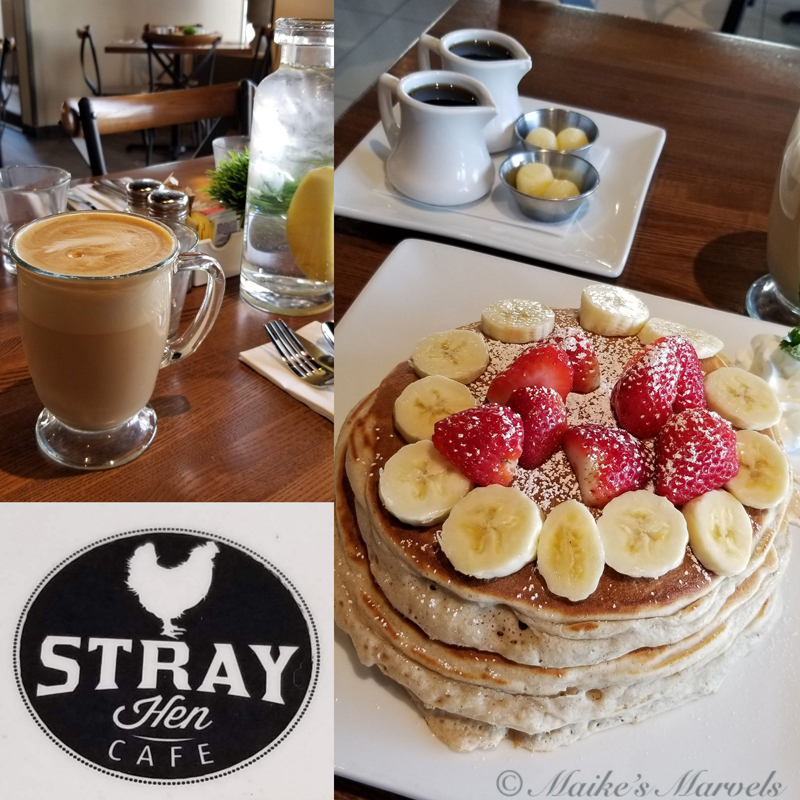 Another morning I brunched at Stray Hen Cafe. It was a bit noisy with the barista using equipment nonstop, but I savored the pancakes. 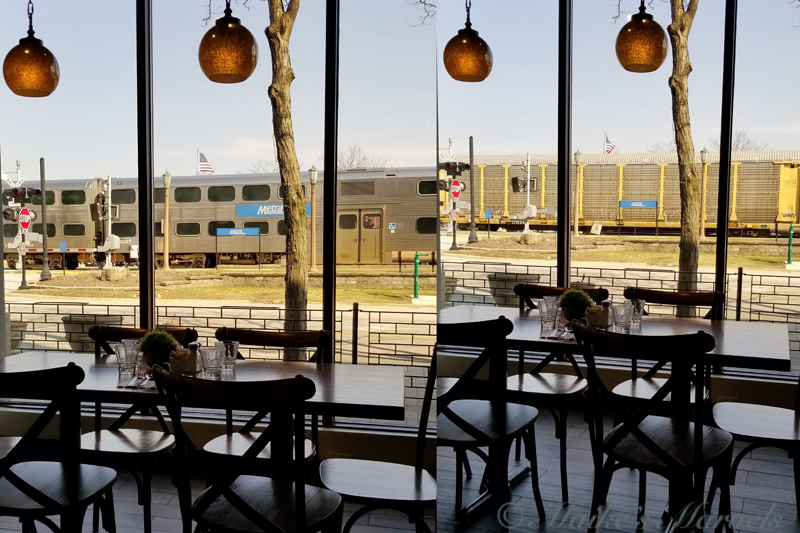 Elmhurst grew because of the railroad (the first depot was built in 1847), and the tracks are busy with both passenger and freight trains. One of my favorite places is the Elmhurst Public Library. I had no problem registering my out-of-town card, and found some books there Evanston didn’t have. There I perused Women Building Chicago, which is choc-ful of amazing stories about Chicago pioneers. There are tables along the windows and lots of comfy chairs in various reading spots throughout the second floor. 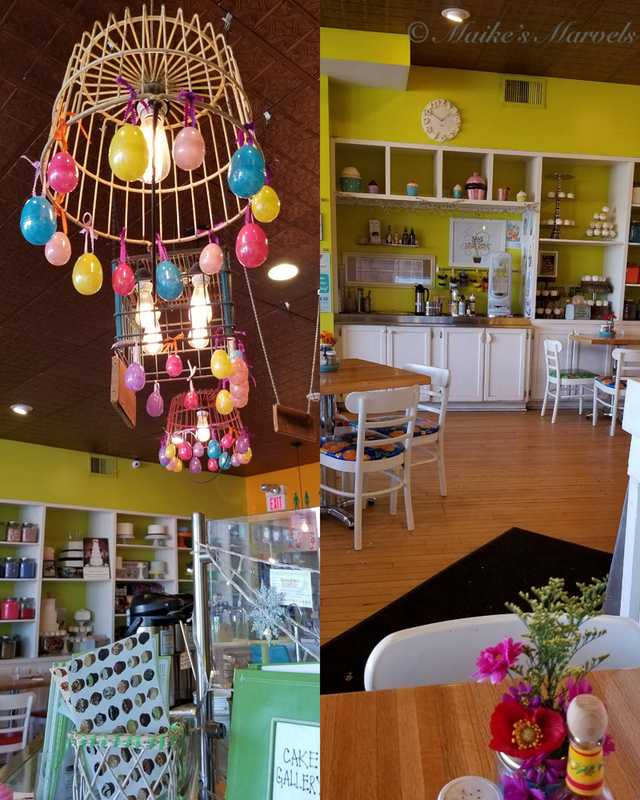 They have a cafe downstairs! I made some headway on research I am doing. 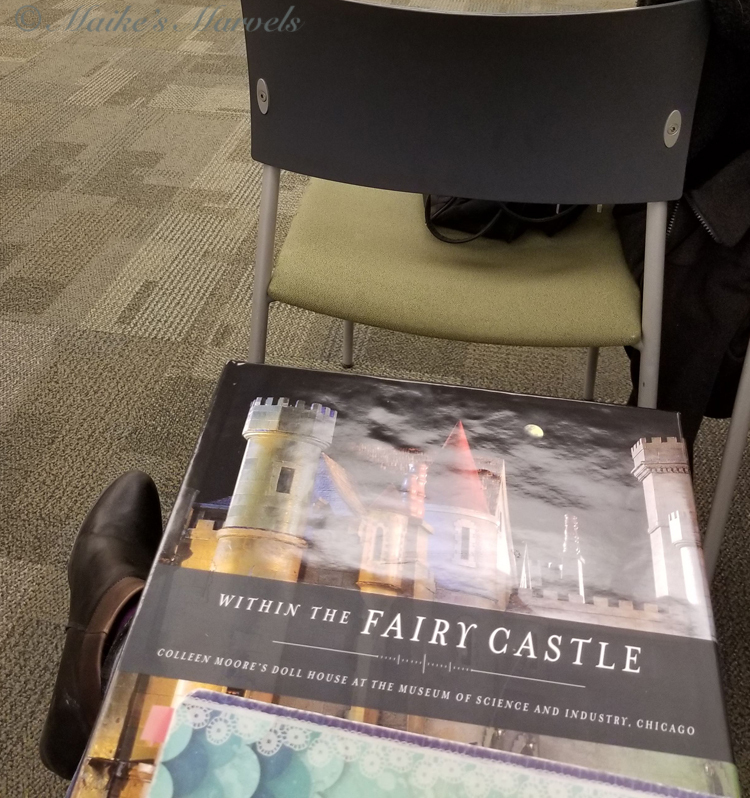 I was excited to be admitted to a guest talk about Colleen Moore’s Fairy Castle. Museum of Science and Industry curator Margaret Schlesinger walked us through a virtual tour of the castle, and then explained what it took to conserve the castle in 2013-2014. Colleen Moore specified that the castle could never be off exhibit, so the restorers had to come into the museum and be part of the exhibit to do their work. After the castle was on loan to the MSI, Colleen would come in and move things around until the late 1980s. 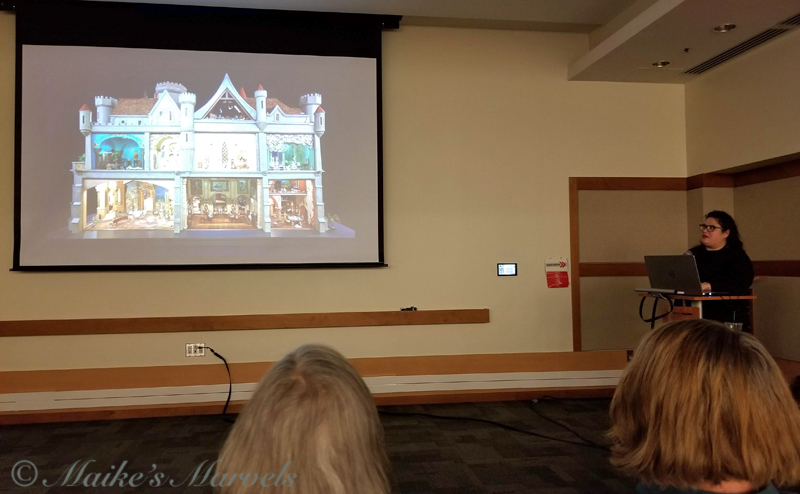 When she passed, the dollhouse was gifted to the MSI. Margaret Schlesinger used photo references from the 1950s and 1960s to re-decorate the castle when the restoration was complete. The restoration was a 9 months process, and Margaret needed two weeks to place all the miniatures back into the castle. 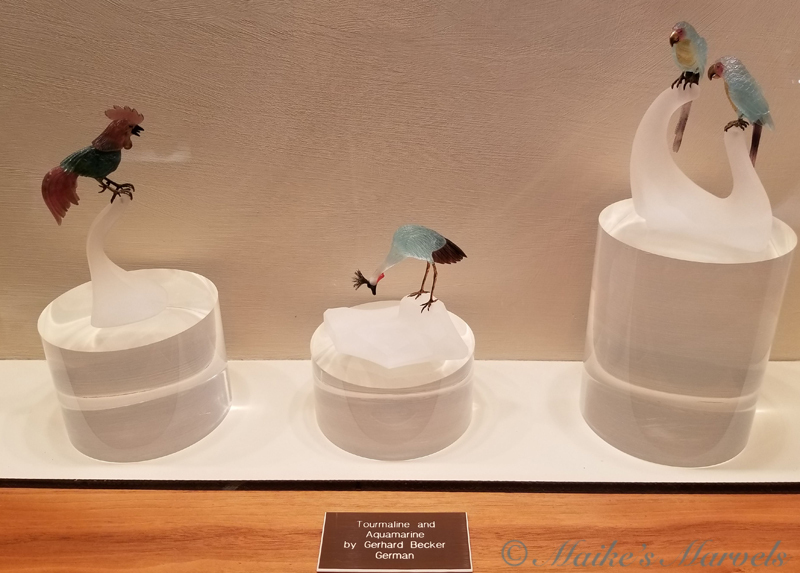 On free Friday I re-visited the Lizzadro Lapidary museum. 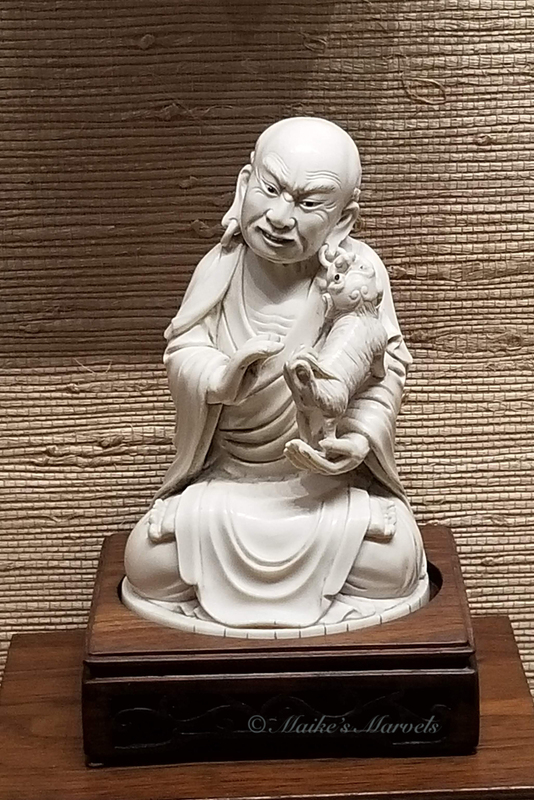 This beautiful museum filled with gems of all kinds is moving to a larger Oak Brook Museum, so you have until May to view it in Elmhurst. This Lohan reflected my pet-sitting feelings. 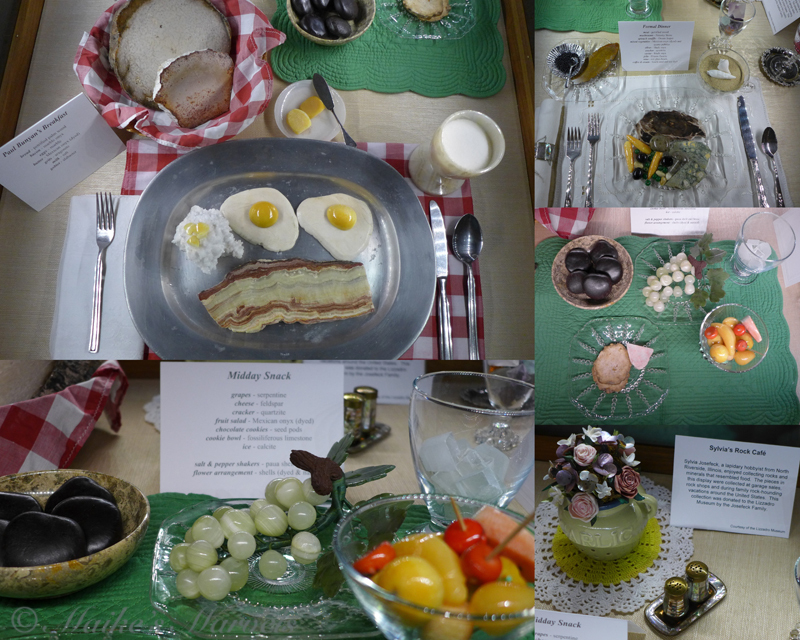 I enjoyed their special stone meals exhibit. I also swung by the Elmhurst Art Museum and learned more about the Bauhaus students, which is a blog for another day. Then as I was deterred from Sushi across the tracks by another train, I instead visited the Courageous Bakery. 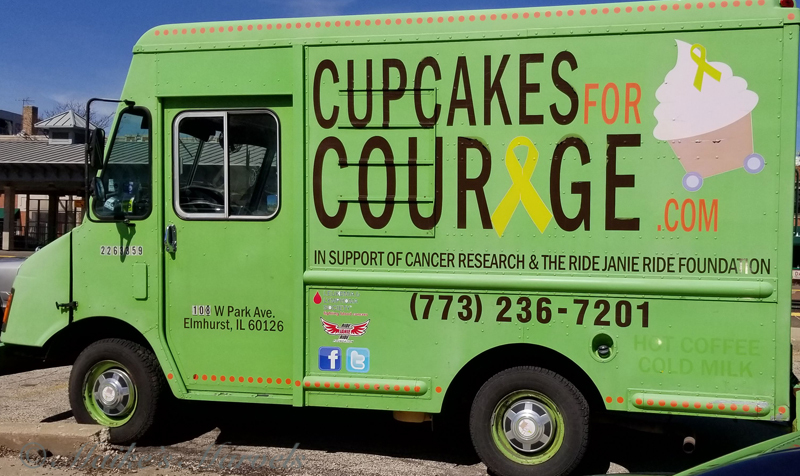 Parking in front of their truck was a sign… It was delightful to take in their cheerful decor. 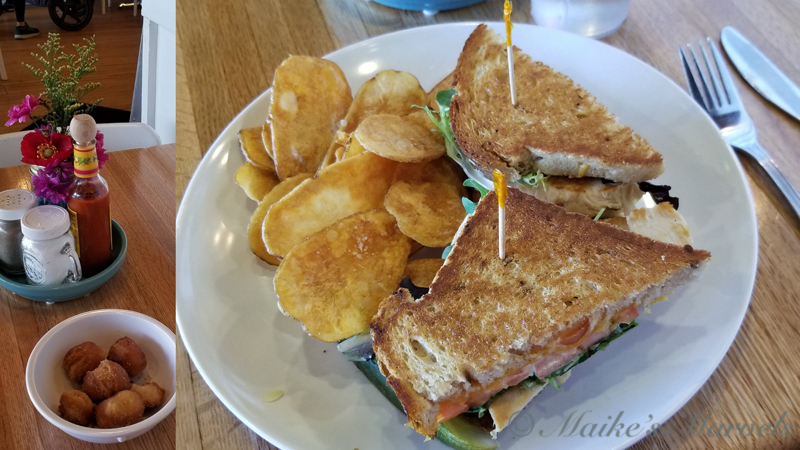 The food serves a worthy cause, and the home made chips were delicious, as was the mighty turkey sandwich. 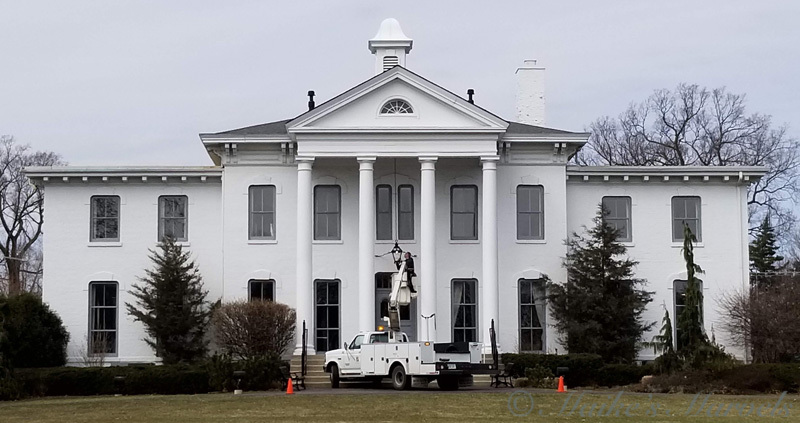 I will of course return to Elmhurst for future Wilder Mansion events. The RGL Marketing for the Arts outdoor show (which I will not be vending at) is May 4 and 5. There were more mini-outings, but those are a blog for another day. It’s fun to explore towns near and far. I enjoy being a tourist even in my own town! 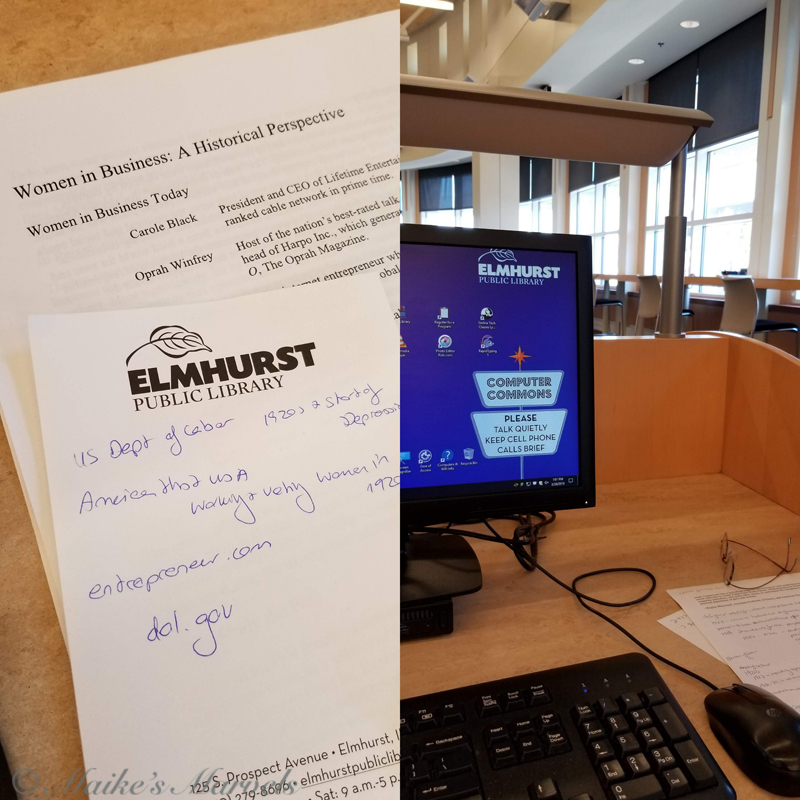 This entry was posted in Art & Culture and tagged Downtown Elmhurst, Elmhurst, Elmhurst City Centre, Elmhurst Eateries, Elmhurst History Museum, Elmhurst IL, Elmhurst Public Library.